An acquaintance of mine who runs a courier service in Barcelona tells me that they are now very busy distributing… textbooks! An increasing number of parents are doing their back-to-school shopping online, ordering mostly textbooks but also school supplies and even uniforms). One of my friends, a mom who has children of school age, tells me why: “Back-to-school used to be a nightmare. I would spend a fortnight going around bookstores, only to find this or that exercise book was out of print. I used to queue up for hours! Now I order the books online when I come back from vacation, and they are delivered next day. It’s really taken a weight off my shoulders”. My children are still too small for school, but when the time comes I will almost certainly buy their textbooks online (and school supplies, uniforms, and anything else I can). It’s not that I have anything against small business in general; in fact, I’m a regular at many stores in my neighbourhood. Specifically, those that offer me a product, quality or customer service that I simply cannot find on the Internet. In short: many bookstores are still selling textbooks the way they have done for the last hundred years! The situation is only slightly better in department stores and malls. They are more organized and have more staff, but they also tend to end up collapsing under sheer numbers during the back-to-school campaign. That’s why there are chains where you can reserve your textbooks in August, a time when, quite frankly, no one has even given a thought to the upcoming school year. Then there’s Amazon, local online stores that offer a good service, such as Casa del Libro, online book sales directly from the publisher, textbook search engines, websites selling second-hand books, textbook price comparison sites, and so on. In short, digital transformation applied in the sale of textbooks. Or how to turn a traditionally slow, laborious shopping experience into something you can do at the click of a mouse. And it would seem that the online textbook sales model works: an Amazon survey shows that 65% of Spanish parents now buy textbooks and school supplies online. It’s not about price, as the fixed-price book law caps discounts on book sales at 5%, whether for Amazon or the high street bookstore. In fact, buying textbooks on the Internet can even be more expensive if we take into account delivery costs. Nevertheless, more and more parents would rather go to Amazon than to their local bookstore, simply because the online shopping process is both quicker and also more convenient and efficient. In short, online shopping has surpassed the retail experience. We are talking about a market which turns over 856 million euros per year, according to data from the Spanish Federation of Publishers’ Guilds. 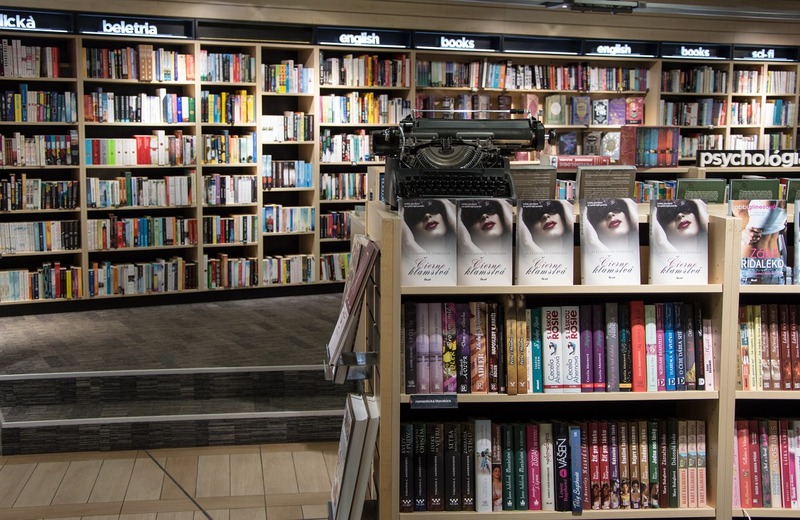 A market that many traditional bookstores –which had the loyalty and trust of consumers– are progressively “giving away” to their online competitors. Isn’t it time they seriously considered the digital transformation of their business model? When we created the Bebitus online store in 2011, we were faced with a similar situation. We found that many parents preferred to spend any little time they had caring for their newborns, rather than having to traipse around stores and pharmacies to buy diapers, baby creams and pacifiers, queue to pay, and carry home heavy packages (while pushing the pram with their other hand). So we offered them an online store where they could buy everything from home, at any time, in a few clicks. And our proposal worked, as can be seen by the fact that Bebitus is now the seventh highest rated online store according to the Consumers’ Association, with 500,000 clients. Keep an electronic inventory which is updated in real time, in order to know whether a book is in stock by simply checking the point of sale terminal. Publish their catalogue online so users can check whether they have the textbook they are looking for without having to travel to the bookstore. Offer an online shopping service and home delivery, either through couriers or on-demand delivery platforms that are now available in many cities (Glovo, Stuart, etc.). Use showrooming to their benefit, for example by adding QR codes to books in store so customers can visit their online site for further information, and even buy the book (whether paper edition or ebook), in partnership with publishers. Encourage return visits by encouraging customers to register their details, in order to send them bookstore information, news, offers for next year’s textbooks, etc. Many bookstores have understood this paradigm shift and are now taking the right steps towards digitally transforming their businesses. Let’s hope that others get on board soon, otherwise they will risk becoming anchored in the past within just a few years. Guillem Sanz is an expert in entrepreneurship, e-commerce, strategy and marketing. He was a senior manager at Privalia and Caprabo before founding Bebitus.com, an e-commerce site specializing in baby care. After turning it into the leading company in Southern Europe, and the seventh most highly rated online store according to the Consumers' Association, he sold the company to the German group Windeln.de. He currently offers advisory services for start-ups, venture capital and private equity firms, and companies currently involved in digital transformation processes. bullet-point Created with Sketch. Do e-commerce sites dream about smartphones?